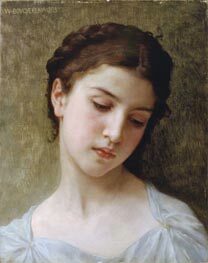 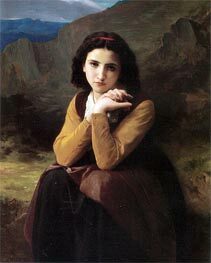 William-Adolphe Bouguereau (November 30, 1825 - August 19, 1905) was a French academic painter. 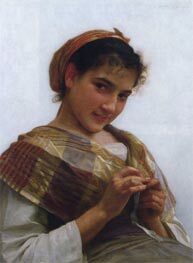 Bouguereau was born in La Rochelle. 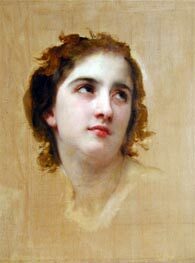 A student at the Ecole des Beaux-Arts in Paris, he won the Prix de Rome in 1850 and his realistic genre paintings and mythological themes were exhibited at the annual exhibitions of the Paris Salon for his entire working life. 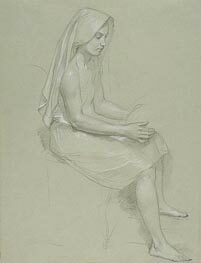 Although he fell into disregard in the early 20th century, due perhaps to his staunch opposition to the Impressionists, there is a new appreciation for his work. 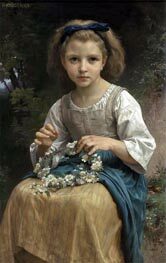 In his lifetime, Bouguereau painted eight hundred and twenty-six paintings. 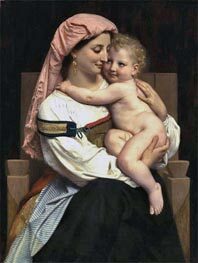 In his own time, Bouguereau was considered to be one of the greatest painters in the world. 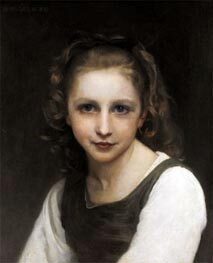 In 1900, his contemporaries Degas and Monet reportedly named him as most likely to be remembered as the greatest 19th century French painter by the year 2000, although with Degas' famous trenchant wit, and the aesthetic tendencies of the two Impressionists, it is possible the statement was meant as an ironic comment on the taste of the future public. 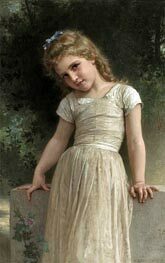 Bouguereau's works were eagerly bought, at high prices, especially by American millionaires. 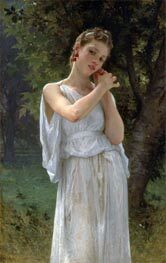 After about 1920, Bouguereau fell into disrepute. 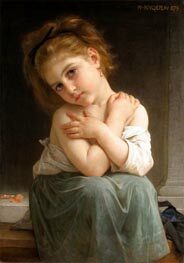 Some assert this may have been consciously engineered by the new "art expert establishment", who resented his former opposition to new developments in painting, but it is likely that more profound societal factors were instrumental to this enormous shift in taste and sensibility. 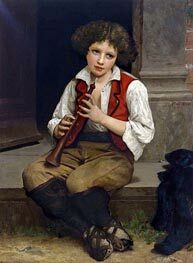 For decades, his name was not even mentioned in encyclopedias. 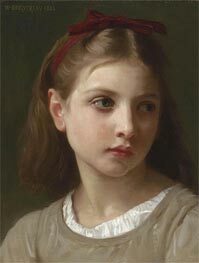 Today, over one hundred museums throughout the world exhibit his works. 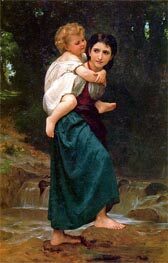 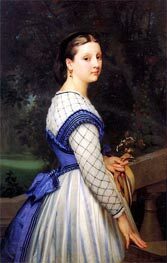 At a rather advanced age, Bouguereau was married for the second time, to fellow artist Elizabeth Jane Gardner Bouguereau, one of his pupils. 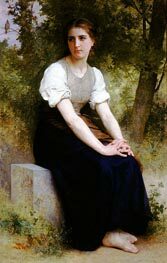 He also used his influence to open many French art institutions to women for the first time, including the Academie francaise. 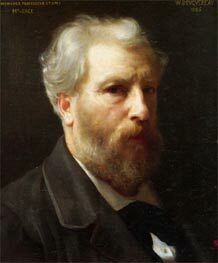 He died in La Rochelle.